Home » arsenal , world of warships » World of Warships: The 0.7.12 Arsenal Mystery Ship, What is it? 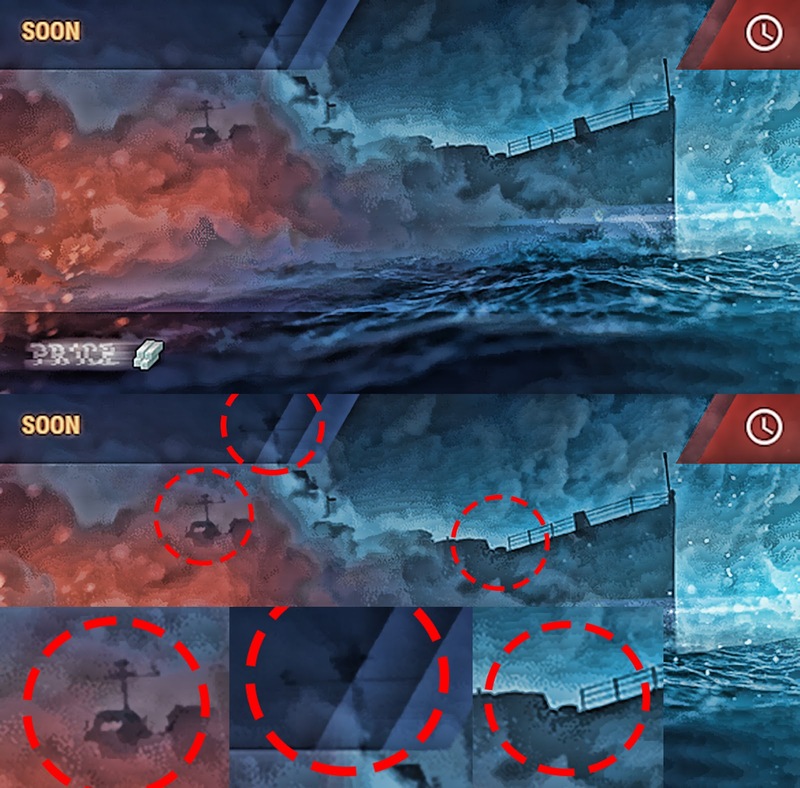 World of Warships: The 0.7.12 Arsenal Mystery Ship, What is it? Mystery Ship: What Ship is This? I noticed quite a few hits to the blog regarding this mystery ship in the Arsenal, so I thought I would try to help out with trying to discover what this ghost ship is. Most noticeably to take into consideration is where the railings end. I changed the contrast of the ship to make it more identifiable, and increased the size of the image. Personally, I do not think this image is either Azuma, Neustrashimy or Exeter, the reason, because of the railings, or it could just be a placeholder image? Leave your comments on the WGB Facebook Page or Reddit.